Our question and answer series introduces the 2013 Milestones in Mentoring award recipients. 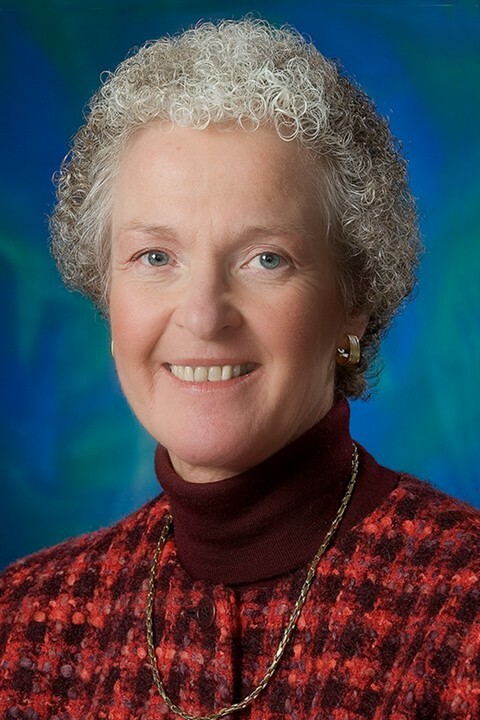 Meet Dr. Judy VanSlyke Turk. When Dr. Judy VanSlyke Turk thinks about the city of Chicago, one of her fondest memories is of having long dinners with Betsy Plank at the Union League Club in Chicago. On November 14, she will return to the Windy City to accept the 2013 Bruce K. Berger Educator Mentor Award from the center named for her old friend. The award is in recognition of a long career in public relations education, editing and consulting that has taken Dr. Turk around the globe. In more than three decades as a professor, she made stops at Syracuse University, the University of South Carolina, Kent State University, the University of Oklahoma, Louisiana State University and Zayed University in the United Arab Emirates. In May, she retired from Virginia Commonwealth University’s highly-regarded School of Mass Communications after she had served as a professor and director of the school from 2002-2010. She is currently Professor Emerita at VCU. Dr. Turk’s long and varied experiences in public relations exposed her to a variety of professional mentors. She believes any good industry mentor needs to be passionate about PR, and willing to lend their time and expertise to “pay it forward.” Patience is a virtue in life and in mentoring, as mentees learn to apply the lessons they’ve learned to their daily jobs. Times have changed since 1979, and so have public relations students. While Dr. Turk appreciates that today’s PR students possess additional skills when it comes to digital and social media, she wishes their career ambitions were more civic-minded and less myopic. From her home in Virginia, she was gracious enough to respond to a few questions via email. What does winning the 2013 Bruce K. Berger Educator Mentor Award mean to you? I think the most important outcome of teaching is not necessarily the knowledge or skills imparted, but the mentoring that takes place between professor and student, and between student and practitioners. There’s been nothing more rewarding to me than knowing that in some small way, my mentoring has had a positive impact on my students’ success. I’ve been blessed to have been recognized earlier in my career for my teaching and research, but being recognized for mentoring is an even bigger compliment to my teaching career. How has teaching PR changed since you first started? Oh my, where do I start? The role has changed: there is more strategy and less simplistic use of tactics. The tactics and techniques have changed: more interactive communication with audiences rather than relying on mass media. Taking advantage of technologically-enabled social media, engaging in two-way symbiotic communication with key audiences/publics, and understanding and speaking the language of business to deserve a seat at the decision-making table are all modern-day PR necessities. How does PR in America compare to international PR? What, if any, are the differences? PR varies from country to country, in my opinion, more based on the social, cultural and political environment context in which practitioners operate than on the media landscape — although the media landscape is profoundly influenced by the cultural and political context. I’m undoubtedly influenced by my North American-centric background, but I also think PR in other countries began later than in North America. Still, I believe it will also develop and advance quickly because other parts of the world can take advantage of the decades of North America PR maturation and leapfrog over some of the painfully slow periods of development and change required to advance North American PR. What are some of your top tips for young PR pros in college? Take advantage of your professors’ offers to provide advice, connect you with the professional community and serve as a mentor. Learn from your professors how to network … and then do it! Pay it forward: extend to those who follow you the same helping hand that others extended to you. Read and write continuously — those are undoubtedly the most valued skills/traits of successful PR practitioners.